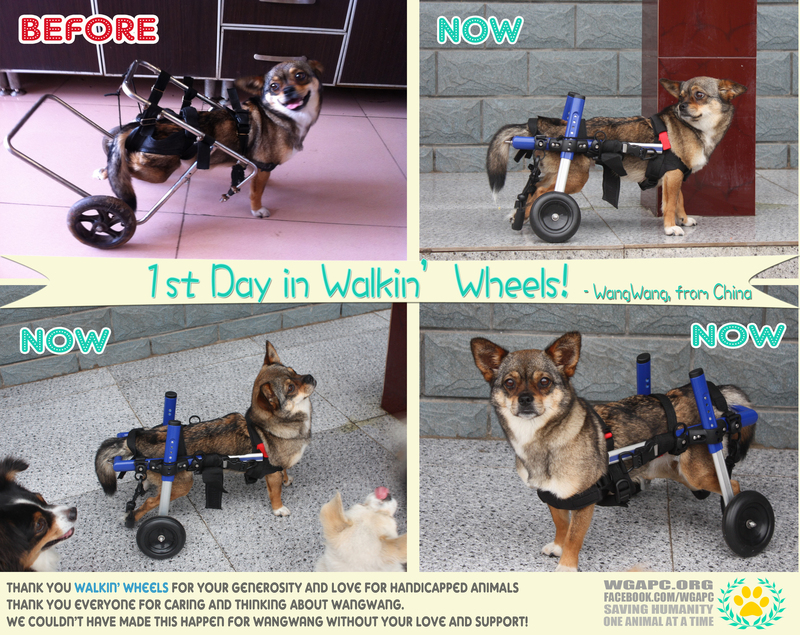 WangWang’s 1st Day in Her New Wheel Chair! 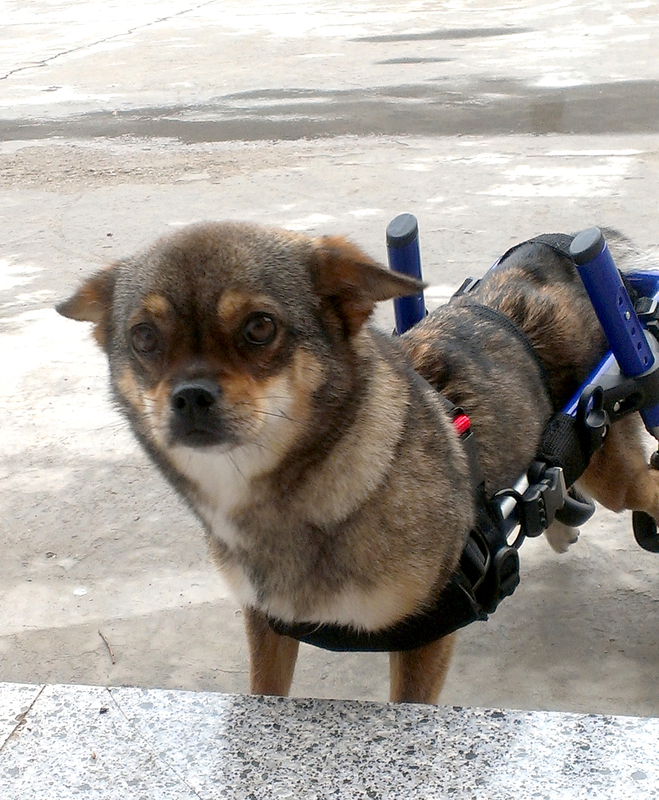 This past weekend, WangWang received her new wheel chair! 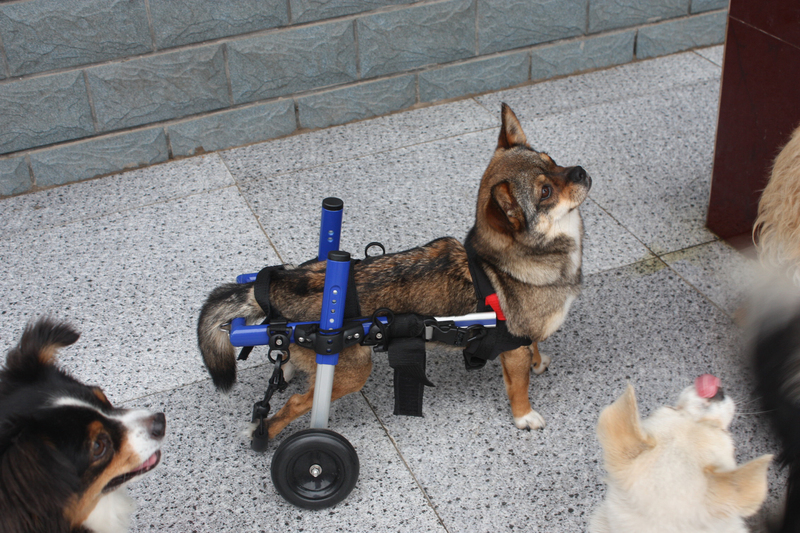 She is finally able to run free without having to carrying a big, heavy and uncomfortable wagon on her back! 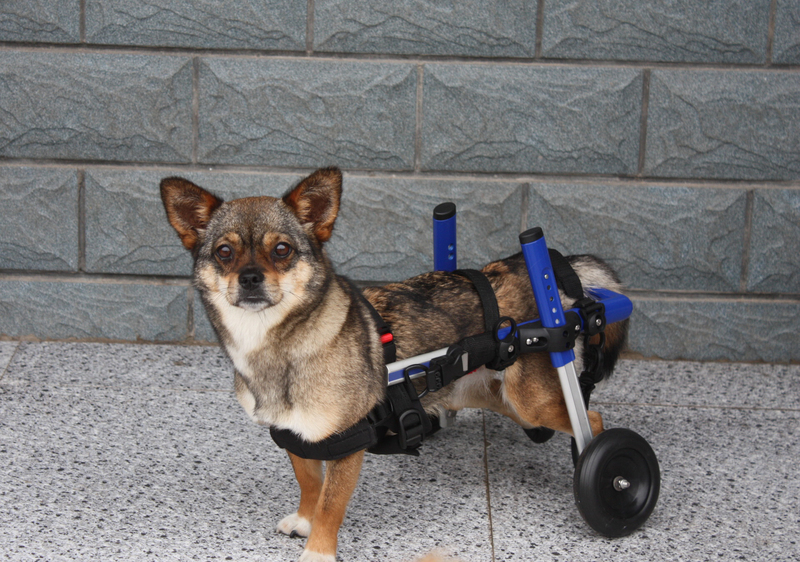 At first, she felt a bit out of sorts with her newer, more nimble wheel chair. 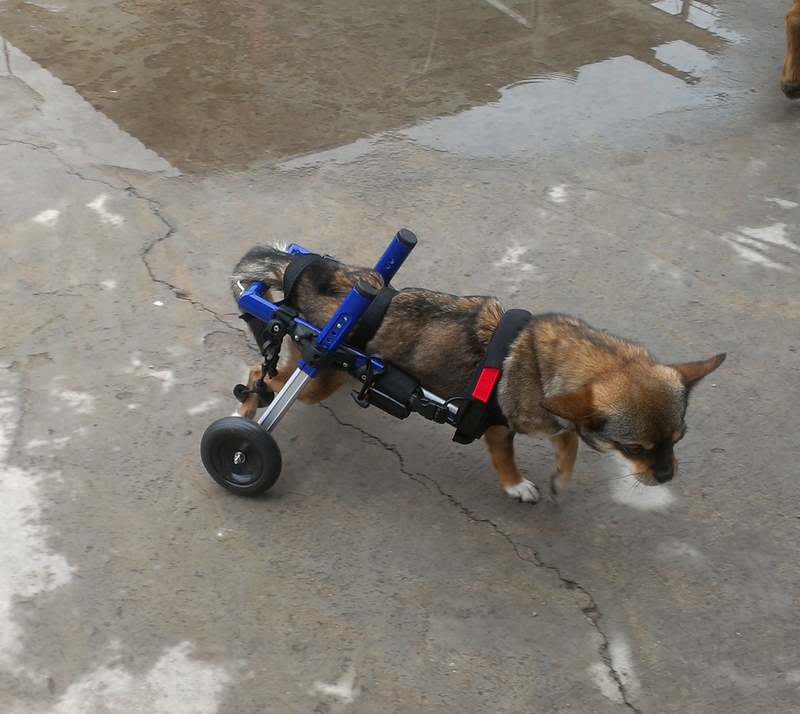 After she slowly got used to it, however, she was running around and chasing after the other dogs in the shelter!We will post a video of her in her cart soon! 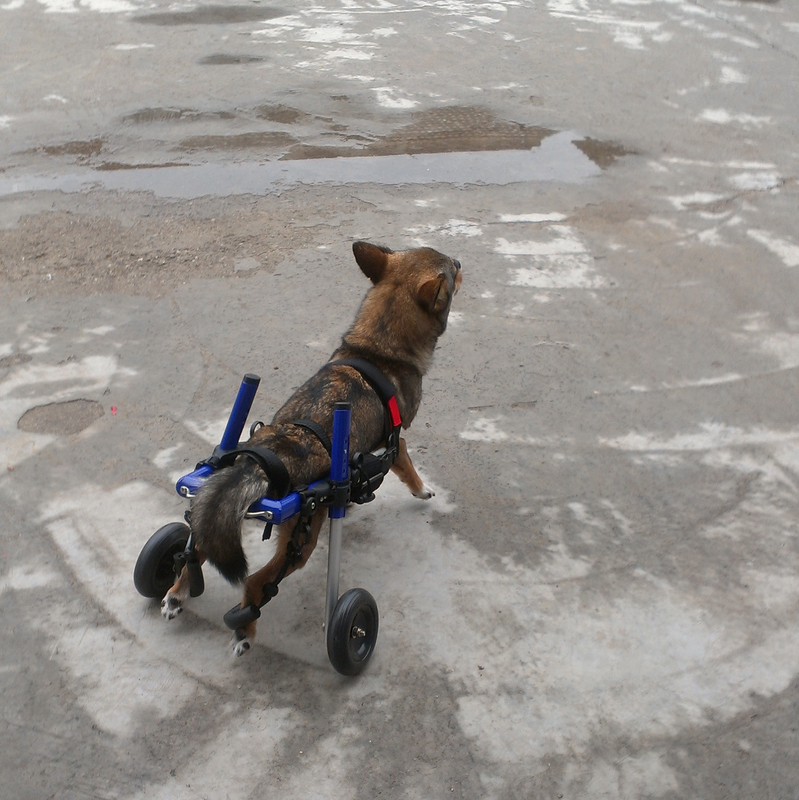 Thanks to Walkin’ Wheels, handicapped animals like WangWang can regain a healthy and happy life without anything dragging them down! 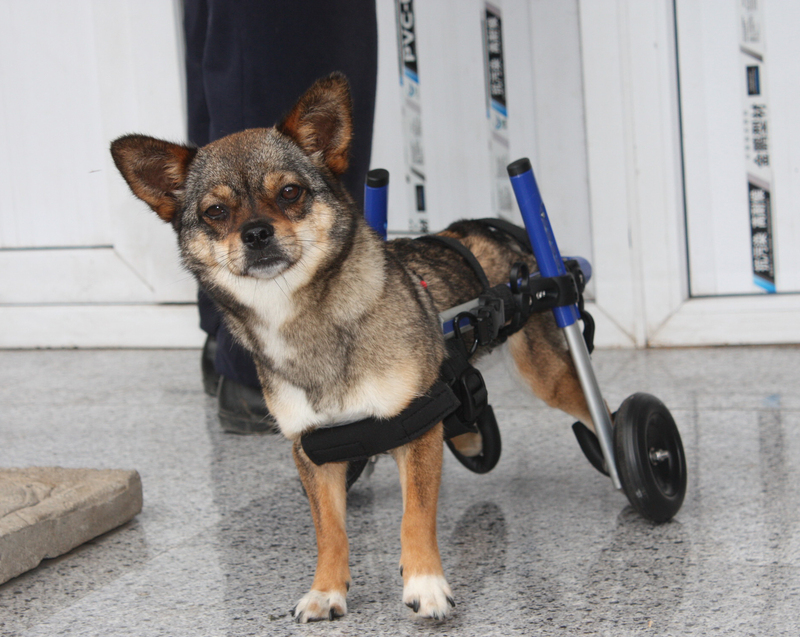 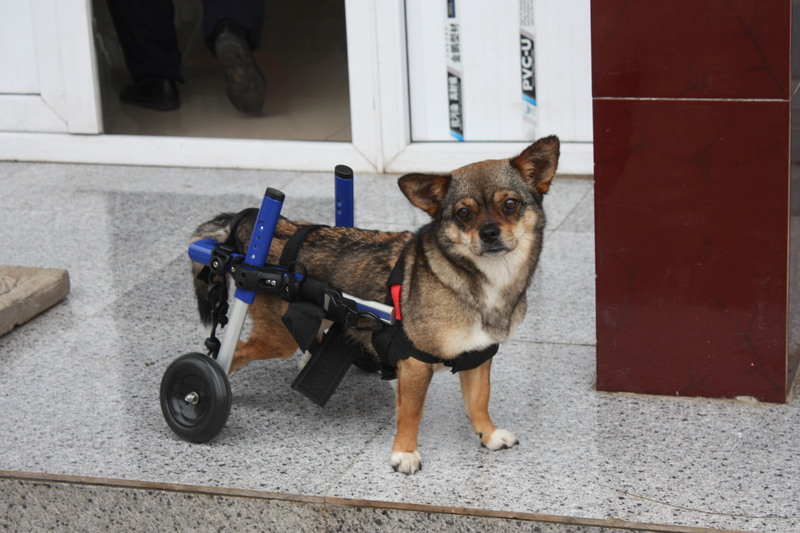 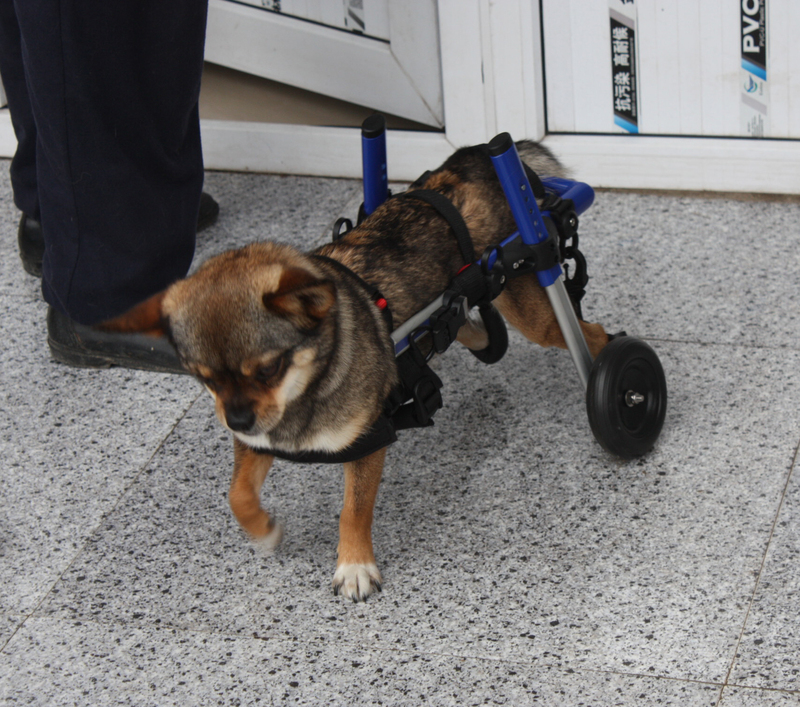 Their generosity and love makes it possible for rescued shelter animals like WangWang to own a such quality, comfortable wheel chair. 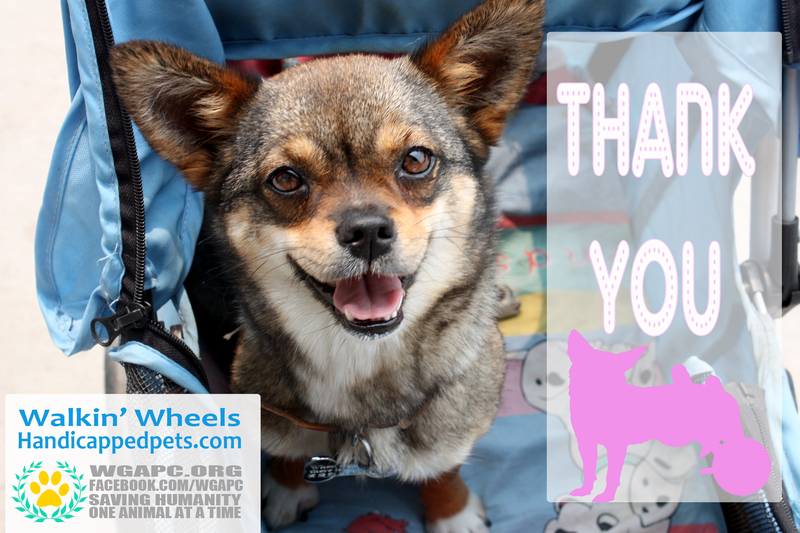 Thanks to everyone who cares and thinks about WangWang. 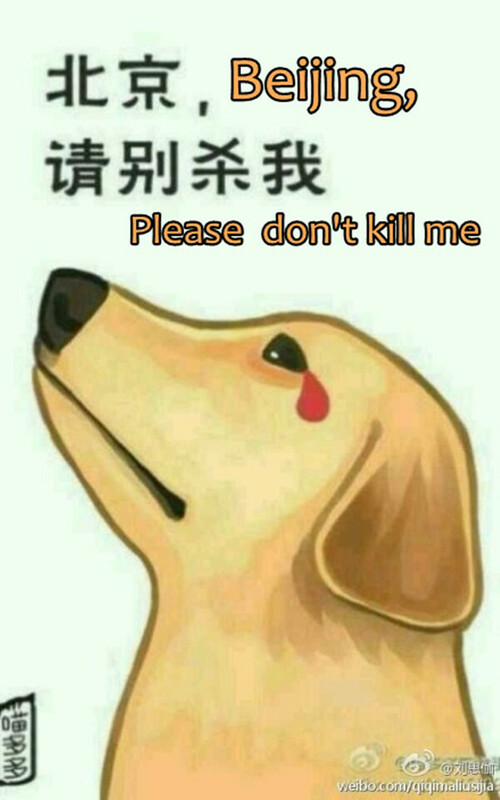 Thanks to all the people who offered help and ideas. 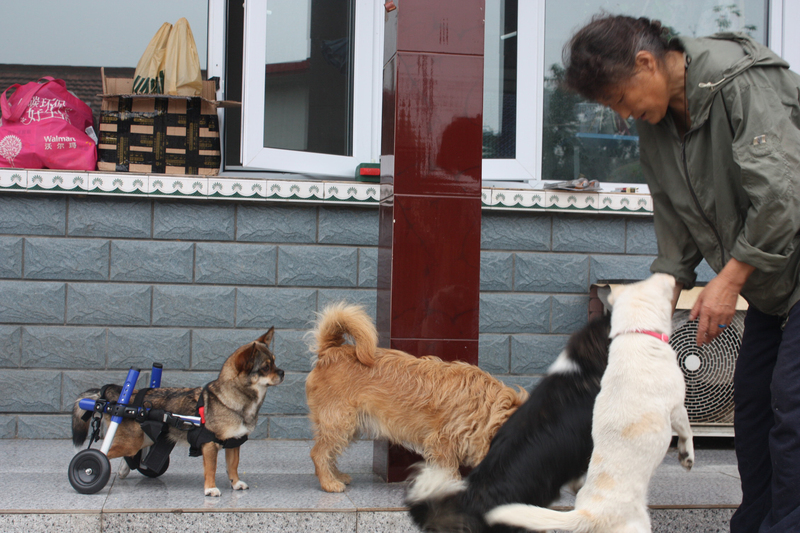 We couldn’t have made this happen for WangWang without all of your love and support!